The JRDC KG and Elementary School, supported by The Shashamane Foundation, is registered as a Charity NGO in Ethiopia. For 15 years, an average of 350 Elementary school children received free education annually, funded primarily by and through our U.S. based Shashamane Foundation. With annual operational budget of U.S. $43,000 and total dependency on outside support for its survival, there’s an urgent need for the school to attain a greater level of self-sufficiency as soon as possible. 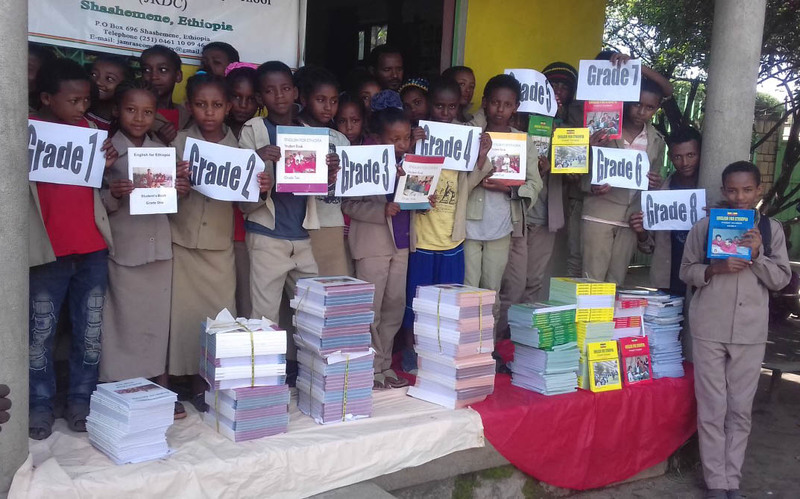 Toward this end, in 2015, the JRDC administration and parents used a “shared cost ” clause in the Charity guidelines of the Ethiopian Bureau of Education, to assume 40% ($17,200) of the operational cost of the school. This they have done by contributing school fees, based on the ability of the parents. These fees are far much less that those charged at private schools in the area. Our U.S.A. Based Shashamane Foundation face the challenge and have assumed the responsibility of subsidizing and underwriting the remaining 60% or $25,800 Annually = $2,150 per month. This is a formidable ongoing challenge for our grassroots fundraising efforts through our community of friends, family and well wishers. We are inviting the partnership of interested organisations and individuals to assist in underwriting the annual budget which we have managed without Government or corporate business assistance and survived only by the grace of God working through the hearts and hands of our generous grass roots supporters. In addition to the operational budget, $25,000 is needed immediately for infrastructural developments and improvements which include the building of a new three classroom KG 3 classroom facility. We have explored the idea of acquiring a Tour Luxury Bus, to be operated in the transportation tourist industry. This would be in Trust of the JRDC as a sustainable income generator for the schools operational expenses from net profits. The risks and assumptions of such a project takes into consideration the oversight of an efficient and experienced managerial body, which would assist in allowing the project to attain its goal of self-sufficiency by the year 2020. JRDC School is now required by the Bureau of Education to relocate their Kindergarten School facility in an area separated by specified distance, from the Elementary School facility. This old 20 year old KG facility is outmoded and its materials of traditional wattle and dab have depreciated to the extent that it is not practical to be removed and materials reused. In order to facilitate the KG students a new and modern 3 classroom concrete facility is needed to be constructed on the same premises but at a specified distance from the Elementary Facility. Repair of Play area and equipment for safety and recreational activities of the Kindergarten Children.